Summer time in Middle Tennessee usually brings extremely high temperatures and humidity levels. It should come as no surprise that these harsh conditions can have a negative effect on items in a storage unit unless that storage unit is climate controlled, however. A climate controlled self-storage unit is the best way to combat the severe heat, as it allows for the storage unit to be kept at a much cooler temperature that is constantly monitored and held steady. When you decide to go with a climate controlled storage unit, you are essentially going with the safest possible option. Extreme heat and humidity can have devastating effects on such a wide variety of materials, which are only multiplied inside a non-climate controlled storage unit. 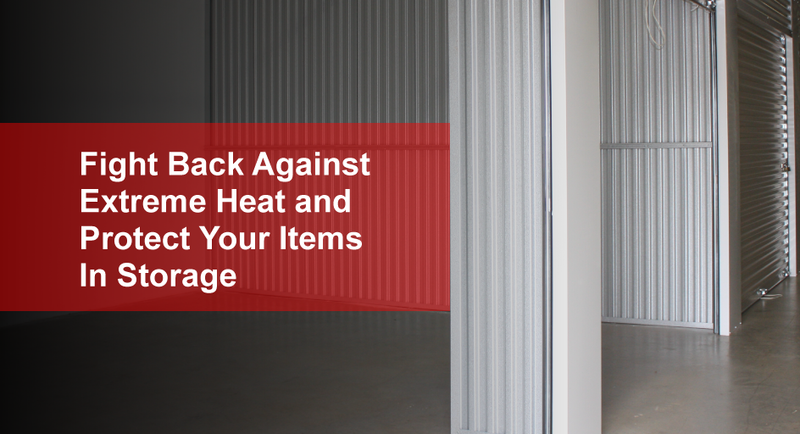 Storage units without air conditioning act like an oven and can “cook” your belongings and damage them beyond repair. While extreme heat is prevalent during the summer in Middle Tennessee, we are also no strangers to biting cold conditions. A climate controlled storage unit will offer protection from the cold just as it does the heat. The ability to maintain a constant temperature offers you the peace of mind of knowing that your belongings are safe no matter how extreme the weather becomes. Which Items Most Need Climate Control? Always choose a storage unit that has your best interests in mind. Protecting your belongings from the elements and any other hazards should be of the highest priority of your self-storage unit provider. Contact U-Lock-It Storage for any of your self-storage needs today.